What are the Important Things To Know In Choosing Invisalign Brace in Brickell, Florida? - Invisalign is a clear brace that offers comfort while having your teeth is being straightened. It is a treatment delivered only by orthodontist which specializes in tooth appearance enhancement. Invisalign clear aligners, which give you a clear, convenient, and comfortable option to achieve the smile you’ve always wanted. Consider Invisalign treatment to get the beautiful straight teeth you've always wanted without braces. A complimentary consultation with our doctor, Dr. Sonia Olivares, can determine if Invisalign clear aligners are right for you. 1. The Invisalign system is the virtually invisible way to straighten your teeth and achieve the smile you’ve always wanted. Invisalign treatment uses advanced 3D computer imaging technology to depict your complete treatment plan, from the initial position of your teeth to the final desired position. 2. 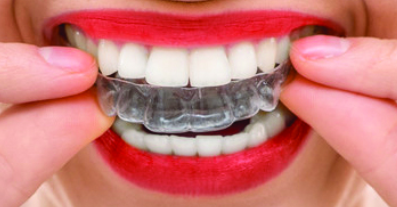 A series of clear aligners are custom-made for your teeth to move them little by little. Each aligner is worn for about two weeks before being replaced by the next in the series until the final position of your teeth is achieved. Your Invisalign treatment time will be determined by Dr. Sonia Olivares based on your specific needs. 3. Invisalign aligners are clear, which makes Invisalign treatment a seamless fit with your lifestyle and day-to-day interactions with others. Invisalign aligners are also removable. Unlike braces, you have the flexibility to eat and drink what you want during treatment simply by removing the aligners when you eat. You can also remove the aligners to brush and floss as you normally would for fresh breath and good oral hygiene. Lastly, Invisalign treatment technology with Dr. Sonia Olivares allows you to view your virtual results and treatment plan before you start your treatment, so you can preview how your straight teeth will look once your treatment is complete. Dr. Sonia Olivares likes to make sure whatever treatment you have, it doesn't impact on your lifestyle. That is why we recommend Invisalign to many of our patients. Using clear, plastic aligners which are virtually invisible, people won't even know you're having orthodontic treatment. Schedule your visit now or you may call our office at 305-620-8272, and for more information about other services we offer check at https://www.drsoniaolivares.net/clear-correct-orthodontics-doral-fl/. Dr. Sonia Olivares has 27 years of quality experience, specialization and credentials to provide patient with a perfect smile.